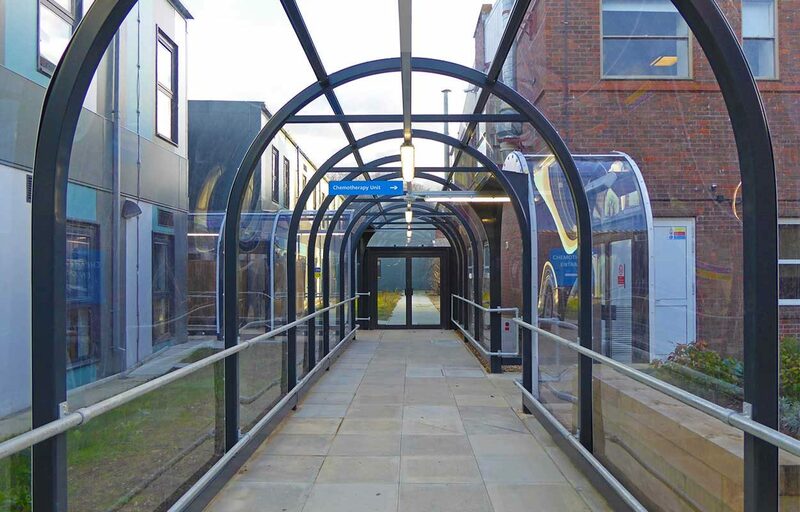 A new 45 meter long canopy has been installed at East Surrey Hospital to create a new route for patients and staff to transfer between wards, protected from the elements. 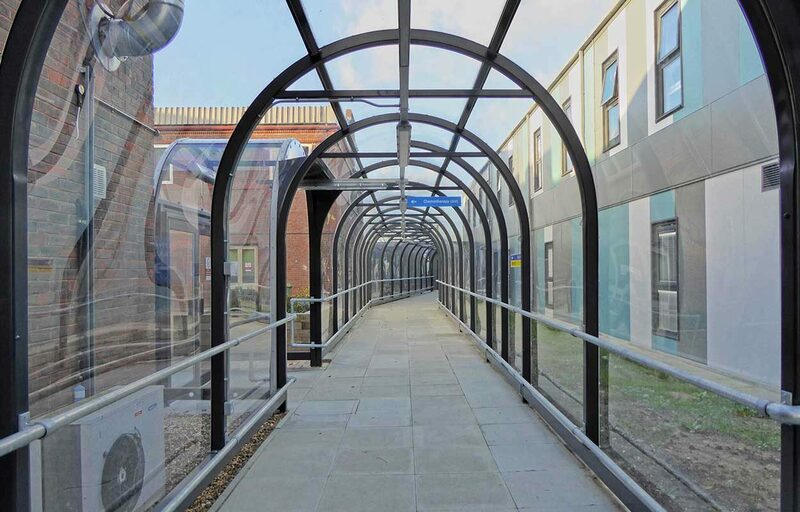 The walkway was required to allow patients to be moved using a dedicated space, rather than through adjacent wards. 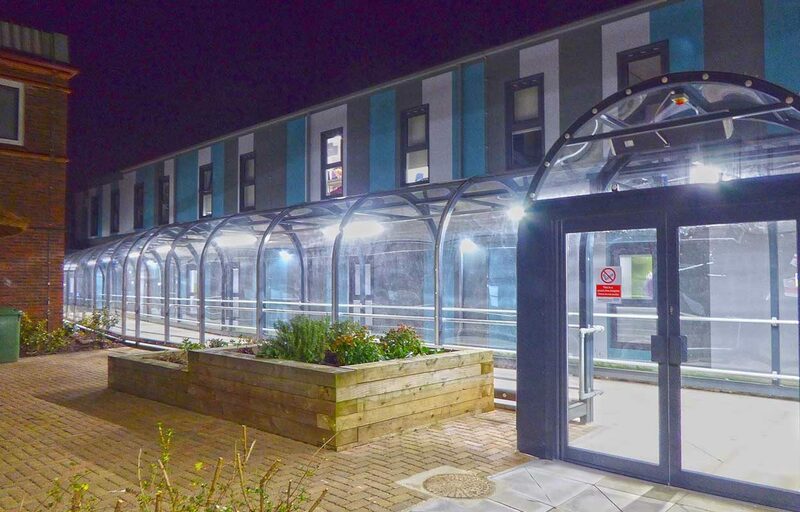 The walkway design responded to a number of parameters; the width was designed to allow two patient beds to be able to pass easily and the height and roof shape was designed to allow incorporation of lighting and heating systems. 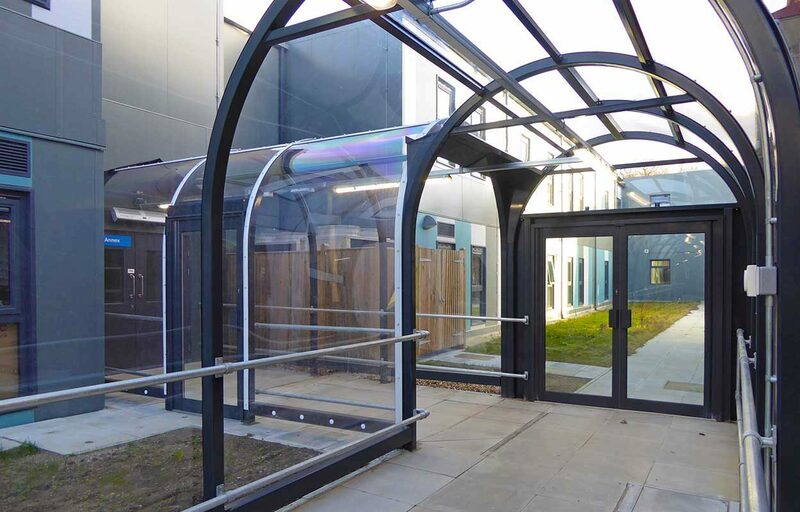 A gap at the base of the canopy allows for ventilation to the space and two sets of double doors allow access to wards around the courtyard. 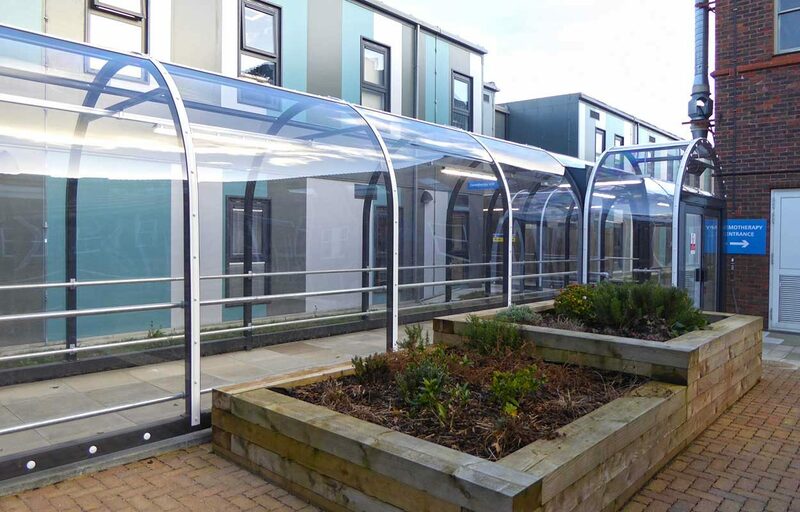 The courtyard location of the walkway also drove the design – being designed using easy to construct structure sizes. 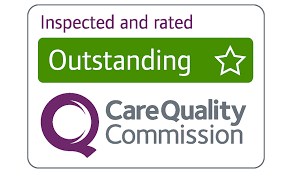 The completed scheme, achieved through collaboration with the clients design team is a great asset which improves patient care. 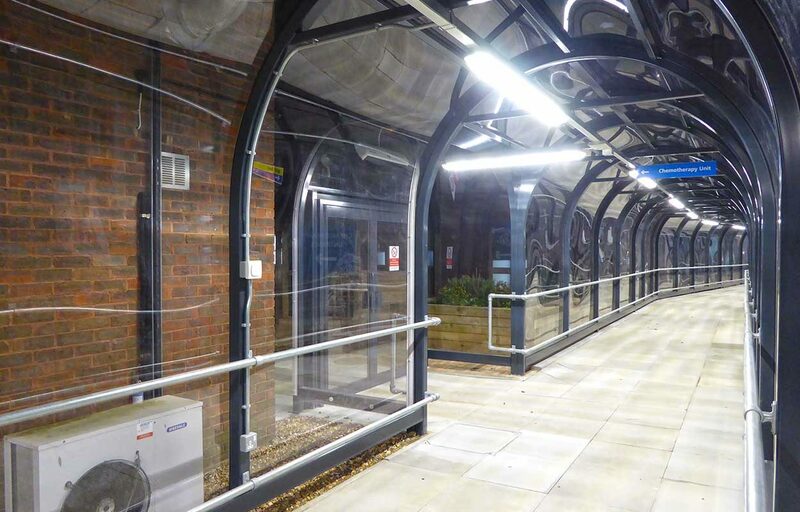 A second phase of the walkway is envisaged which will double the overall length of the route. 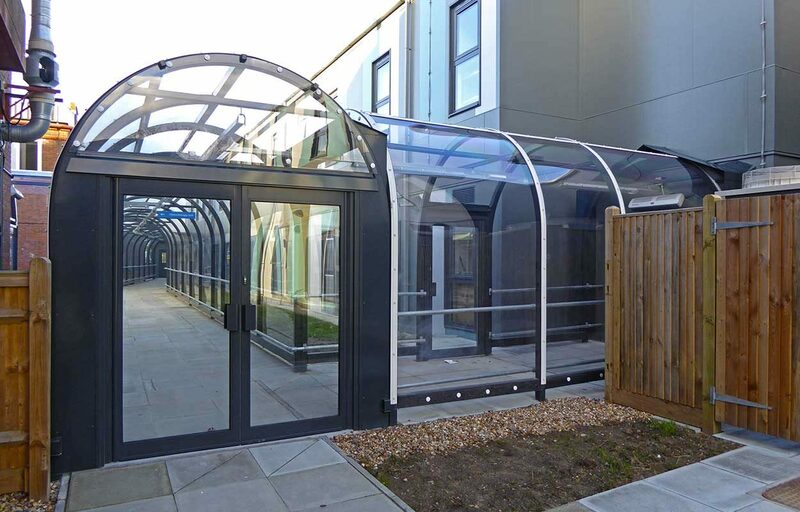 Frame: Polyester powder coated steel frame to match surrounding buildings using RAL colour 7016.